The United States Catholic Medical Association will hold its 77th Annual Education Conference in Baltimore, the first Catholic diocese in the United States, October 9-11, at the Hyatt Regency Hotel at the Inner Harbor. The Conference, “Theology of the Body—Modern Challenges to Health, Conscience and Human Dignity,” will address issues of conscience formation and its difficulties, the raising of children, spiritual and emotional healing from abortion and addiction, accepting limitations on health and reproduction, and aging and sexuality issues faced by the senior community. All these topics will be addressed in the light of Pope John Paul II’s Theology of the Body. A special session will be organized for medical students and residents and the Keynote Address will be delivered by Mr. George Weigel, author of “Witness to Hope: The Biography of Pope John Paul II. There will also be special sessions each day dedicated to various issues of concern to Catholics in the medical profession, including how to succeed as a Catholic OBYN physician in a secular world. Each day a special cultural presentation will be offered highlighting local spiritual heroes, saints and our Conference patroness, St. Gianna Molla. 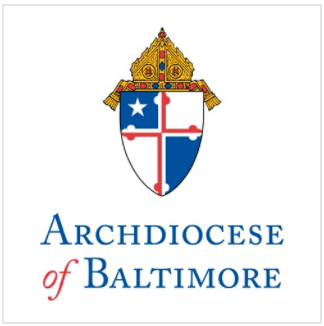 Archbishop Edwin F. O’Brien will celebrate the annual White Mass at the Baltimore Basilica, America’s First Cathedral, on Saturday, October 11 at 5:30 p.m. A tour of the Basilica will precede Mass. The Catholic Medical Association is the nation’s largest professional organization of Catholic physicians. For more information, visit www.cathmed.org. Media note: Members of the media are asked to register at the Registration Desk during the conference. Reporters should check with the Registration Desk for a list of Conference sessions open to the media.